We are going to have quite a busy spring this year, so please sign up for our e-news or Twitter to keep up! Kim Leung from CampusProgress.org writes an article/review about A VILLAGE CALLED VERSAILLES. Check it out here. New Orleans Film Society is presenting a free encore screening of A VILLAGE CALLED VERSAILLES next Saturday as a part of their community outreach effort. If you missed it at the film festival last October, please come check it out for free. A Village Called Versailles is a feature documentary about Versailles, an isolated community in eastern New Orleans settled in the late 70’s/early 80’s by Vietnamese “boat people”. 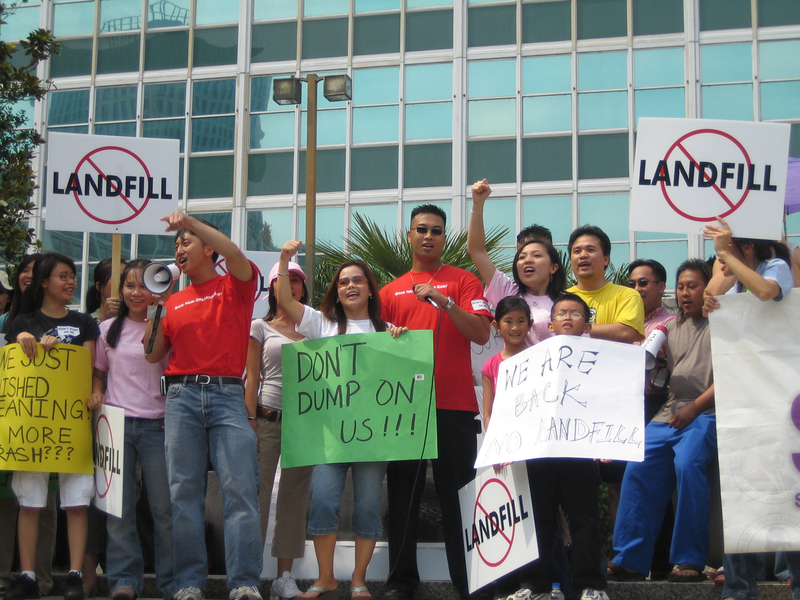 In the aftermath of Hurricane Katrina, Versailles residents impressively rise to the challenges by returning and rebuilding before any other flooded neighborhood in New Orleans, only to have their homes threatened by a new government-imposed toxic landfill just two miles away. Formerly content to stay within their own “village” and below the public radar, the Vietnamese community rallies to oppose the landfill and become an effective force in local politics. 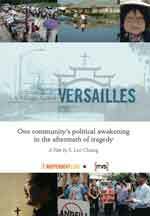 A Village Called Versailles recounts the empowering story of how this group of people, who has already suffered so much in their lifetime, turns a devastating disaster into a catalyst for change and a chance for a better future. Directed by S. Leo Chiang. USA. 2008. 68 min. Hosted by the 7th Ward Neighborhood Center, 1943 Pauger St., on the corner of Urquhart St (map). Happy Holidays from A Village Called Versailles. In celebration of the season, we are offering a special 20% off holiday discount on home video copies now through December 18th. It makes a great gift for your friends and family! Thank you for supporting independent filmmaking. Here is Mimi Nguyen, who was the first Vietnamese American to work for New Orleans City Council, talking about the long term development plan for Versailles at the Austin Asian American Film Festival this past weekend. A VILLAGE CALLED VERSAILLES caps off a great October by winning our second award–an AUDIENCE AWARD at the New Orleans Film Festival! Thanks to all of you who came out and supported us at all of our various festivals stops. November kicks off with Versailles’ most famous resident making big news. Rep. Joseph Cao (R-New Orleans), the first ever Vietnamese American elected to the US Congress who happens to come from Versailles, stirred up quite the controversy by being the only Republican in the House to vote for the Health Care Reform bill. You can find more news items about Rep. Cao by visiting our Facebook page. Q&A with Director S. Leo Chiang and subject Mimi Nguyen to follow. TICKETS: No admission fee. Open to public. The students from UMB Asian American Studies program provided us with some of the most compelling video footage in the film during their two visits in Nov ‘05 and Feb ‘06 to the Versailles community. Now we are bringing the film back to UMB. Director Leo Chiang in attendance. 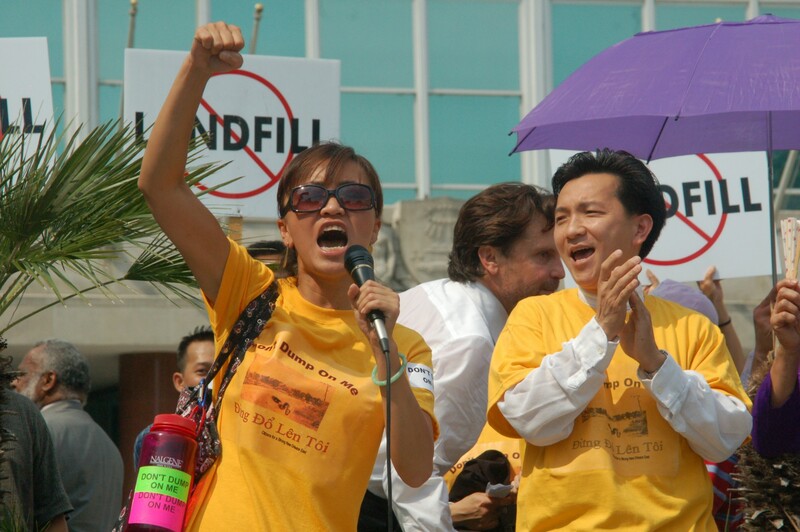 Free screening at the heart of Boston’s Vietnamese American community in Fields Corner. The film will be screened with Vietnamese subtitles. Director S. Leo Chiang in attendance. We will also be screening at the Society of Visual Anthropology Film, Video, and Multimedia Festival on Sat 12/5 @ 1:30p as a part of the American Anthropological Association annual meeting in Philadelphia, PA. Please come see it if you are attending the conference. The holiday season is right around the corner, and the A VILLAGE CALLED VERSAILLES DVD makes a great gift!! Visit our website and purchase a copy today. The proceeds from the sales of DVDs go towards our community engagement campaign and enable us to continue showing the film around the country. I want to end this update by sharing another great story of Vietnamese Americans making a difference in their community. Siblings Viet & Tram Nguyen, both principals of public elementary schools in Oakland, CA, have worked tirelessly to turn their schools around. Here is the feature story about them on the local ABC affiliate. Check it out. The Vietnamese American Young Leaders Association of New Orleans (VAYLA-NO) launches the VAYLA Stories website, which is “a youth-led oral history and documentary project to celebrate the lives of New Orleans’s Vietnamese and neighboring communities.” There are currently 11 stories posted. Check out what the young people in Versailles have to say about topics from Vietnam War to growing up in Versai and surviving Katrina. If you want to find out more about the weekly goings-on in Village de l’Est, don’t forget to check out Tony and Huong’s fun weekly vlogs on the VAYLA home page! VERSAILLES wins Audience Award at New Orleans Film Fest! A VILLAGE CALLED VERSAILLES has just been awarded the Audience Award for Documentary Feature at the New Orleans Film Festival. Needless to say, we are totally beside ourselves to snag our second award in a week. A big THANK YOU to all the folks who came out to see the film in New Orleans. Our next stops are the Hawaii International Film Festival in Honolulu (screening tomorrow–Sat 10/17 @ 8:15 pm & Tue 10/20 @ noon) as well as the San Diego Asian Film Fest (Sun 10/18 @ 12:10pm & Wed 10/28 @ 3 pm). Please tell your friends and family to come out and check out our film. Don’t forget to come up and say hi afterward. We are thrilled to announce that A VILLAGE CALLED VERSAILLES is named BEST DOCUMENTARY at the Philadelphia Asian Am Film Fest, which is coming up this weekend! Our director, Leo Chiang, will attend the screening this Saturday 10/10 @ 7 pm at the Asian Arts Initiative. Hope to see you there. We are taking the film on the road in October. Hope to see you at one of these stops! For more details, check out the Upcoming Screenings page. Please sign up for our newsletter to keep up-to-date about our film.